Having back pain and want it gone? We are here to help. If you suffer from back pain, you are not alone. 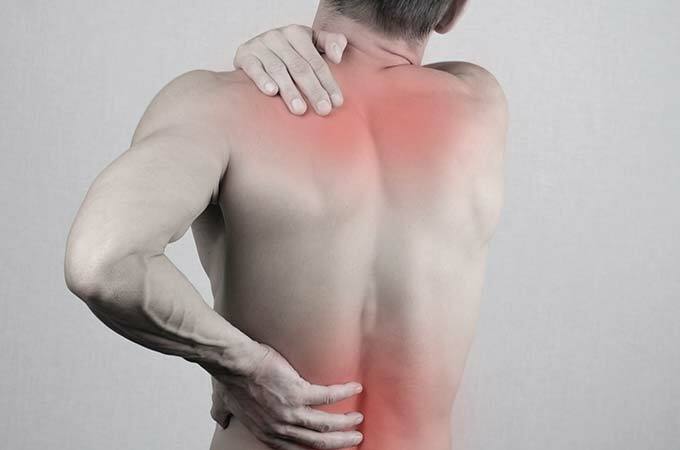 Nearly everyone suffers from some type of back pain at some point in their lives. Whether your pain is chronic, caused by an auto accident, sports injury, WCB claim, or just life in general, we can help. At Fish Creek Chiropractic our specialty is detection and correction of spinal problems. After a detailed medical history, chiropractic exam, and x-ray (if necessary), we will detect and then correct the underlying cause of your pain. We will also guide you on lifestyle changes that will prevent the problem from returning. It starts with a free, no-obligation consultation. How can I cure my back pain naturally? Why are you having back pain? Is it because you don’t have enough pain killers in your diet or is there some sort of problem that is causing the pain to occur? Taking drugs to relieve the pain is one way to deal with your problem, but it rarely does anything to correct the cause of the pain. We want to find out what is causing your pain so we can implement solutions to get you feeling better not only now but also to prevent the pain from coming back in the future. At Fish Creek Chiropractic our specialty is detection and correction of spinal problems. When you first come to the office we will have a detailed conversation to find out what your concerns are. After this conversation, we can proceed with a neuro-structural assessment, along with orthopedic tests, and onsite x-rays (if necessary). With this information, you will have the ability to make an informed decision on what you feel is right for you. Problems don’t usually fix themselves. Take action today by calling our office and booking an appointment. We look forward to meeting you in person.